Hypothermia is a condition where a person’s core body temperature goes down far below the temperature required for normal metabolism. A human being’s body temperature is almost always constantly maintained at 36.5 to 37.5 degrees Celsius or 98 to 100 degrees Fahrenheit. This constant body temperature is maintained through thermoregulation or otherwise known as homeostasis. Understanding this condition is essential in hypothermia treatment. 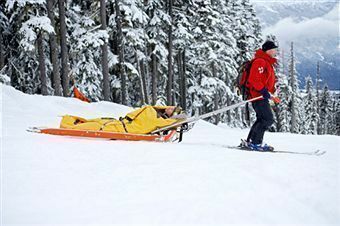 Hypothermia is usually caused by a prolonged exposure to very cold weather conditions. Part of the reasons why this happens is wearing inadequate clothing. The clothes you have on may not be giving enough insulation from the cold. Hypothermia speeds up when one gets immersed in water. Take note that it only takes a few minutes in really cold water for it to be fatal. Just as in dealing with other diseases and medical conditions, one should learn the signs and symptoms of hypothermia. Knowing these symptoms is part of the initial stages of hypothermia treatment. The following are symptoms to look out for. In a state of hypothermia, the body focuses the blood flow mostly to its vital organs. These include the brain, kidney, lungs, and heart. This is something akin to a survival response to extreme cold. If the body temperature drops even further below than normal, the patient’s organs will eventually fail and death is expected to occur. Hypothermia treatment should be initiated immediately when the patient is found. The first treatment for hypothermia to be applied is first aid. The next step is to remove the patient from extreme cold temperature. This means taking the patient away from the cold environment that induced his condition. Provide warm shelter and remove all the wet clothing. Replace the wet clothes with dry covering that includes the entire body from head to foot. At this point you should contact any emergency medical services that are available. You should call 911 immediately if your country or territory has that or any similar emergency service. 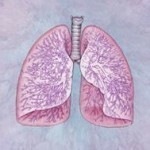 You should monitor the breathing of your patient. Should breathing stop or slows down at a very dangerous rate then you should initiate CPR. Apply warm compresses on the patient’s groin, chest, and neck. However, you should never use hot water nor should you use direct heat. If warm blankets are not around and you no longer have any resources to provide warmth you may use body to body contact as a form of first aid. The hospital may provide warmed intravenous fluids, humidified air, and warming blankets. However, if you can provide active rewarming then you should give it to patients who are colder. Aggressive rewarming procedures as hypothermia treatment to be done at the hospital includes the infusion of warm fluids into the patient’s bladder or stomach, irrigation of warm solutions to the patient’s abdominal cavity and chest, dialysis, or if necessary a heart bypass.